Have you ever heard the phrase "Might as well roll the dice and take the chance? ", that in itself indicates the results of rolling the dice as uncertain, or random. We are convinced of this by the simple fact it is impossible to know how the dice will land. That is written in stone right? Right. If you think about it, how can it be possible to influence the outcome of what seems to be such a random thing as the roll of the dice. There are a lot of skeptics, but the fact is, simple physics dictates the the outcome of how the dice will land. If you toss them randomly they will land randomly, if you toss them with precise intention of using those physics to your advantage the level of randomness is greatly reduced thus increasing your chances of 'knowing' the outcome. Seven is the most likely number to come up during a random roll simply because there are more ways on the dice to make a seven than any other number. What if you could greatly reduce the odds of rolling a seven? According to Dominator the 7 will come up 6 times in every 36 rolls, I am sure that statement is derived from the mathematical odds. He went on to say that the shooter need only reduce the number of times the 7 should appear by a very small amount to gain all the advantage you need. If the 7 only comes up every 6.23 rolls out of 36 you have the edge you need, but, you must know how to bet. A good dice controller is more likely to roll the next 2 most common numbers 6 and 8 consistently. How does dice control work? Technique, plain and simple. Much like using the proper technique in a golf swing yields the best results, using the proper technique when throwing the dice will also yield the best results. Learning this technique is not hard, perfecting it and being consistent is almost as challenging as winning the US Open. It can be done, if you've researched it at all you know there are prople who are banned from casinos because of the knowledge and skill at dice control. Dominator is one of those banned from over 75 casinos and the entire state of Mississippi, he has been featured on the History Channel's Breaking Vegas, A&E, The Travel Channel, Sirus Network, and other media outlets. I consider myself a friend of Dominator becasue of the way he treats me with respect, I'm not a dice controller, but, an astute observer with an inside connection. I work with him on a daily basis and I see how he treats his "clients" the same, with respect. He is a geniune legend of gambling who was recently ranked as the 8th best gambler of all time. 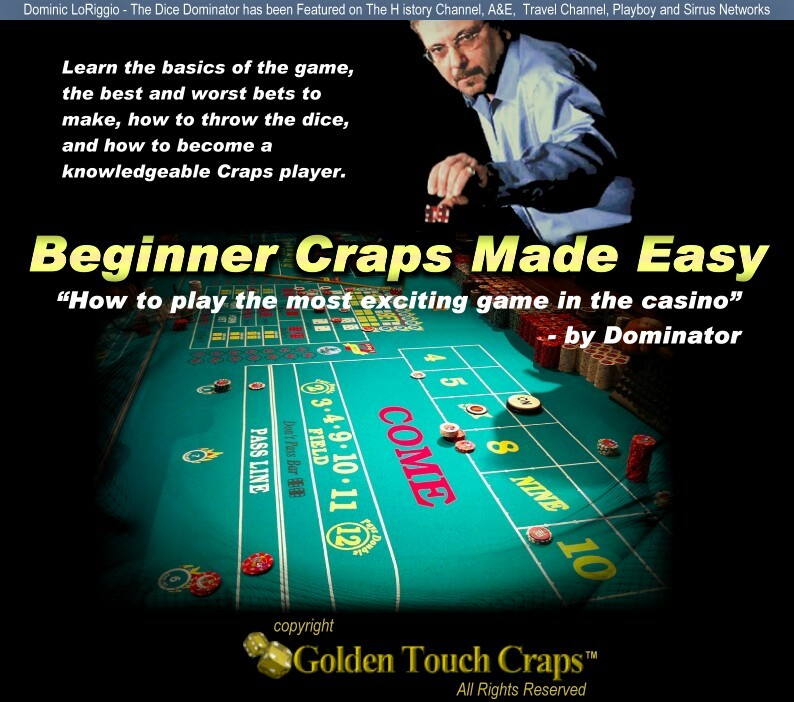 You can learn how to beat casinos using Dice Control taught by Dominator and his certified instructors. at one of the many great seminars held in yiour favorite gambling cities across the nation. Dominator and his staff they will guide you through the learning process and carefully watch you as you advance to becoming a winner. I have seen it time and time again, nothing but positive reviews and comments from students, so much so, that I notice people coming back for refreshers and advanced classes. Everyone that takes this course will benefit from the knowledge of Dominator, it is amazing. 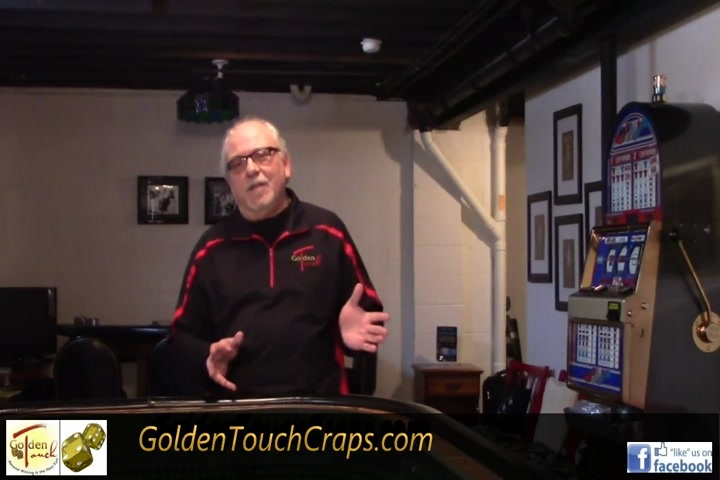 I met a Golden Touch instructor who worked with me for 30 minutes. After seeing what 30 minutes could do for my game, I signed up for the entire course and am glad I did. The breakout sessions where the coaches went over what was just taught were just great.